We had a great time! The guide + driver picked us up on time at our hotel. He talked about the city and gave us a lot of valuable information. The view was beautiful as well and he gave us as much time as we wanted to take pictures etc. Amazing service! 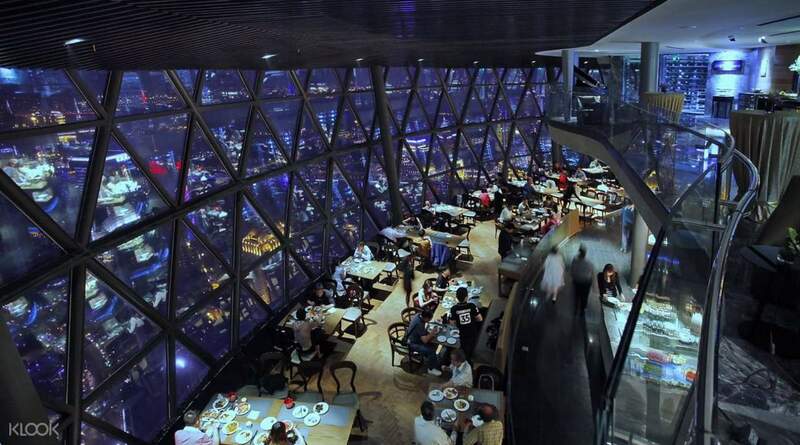 Indulge in a luxurious dinner at the top of Shanghai's iconic skyscraper – Oriental Pearl Tower at its famous Revolving Restaurant, the highest revolving restaurant in Asia rising 263 meters off the ground. 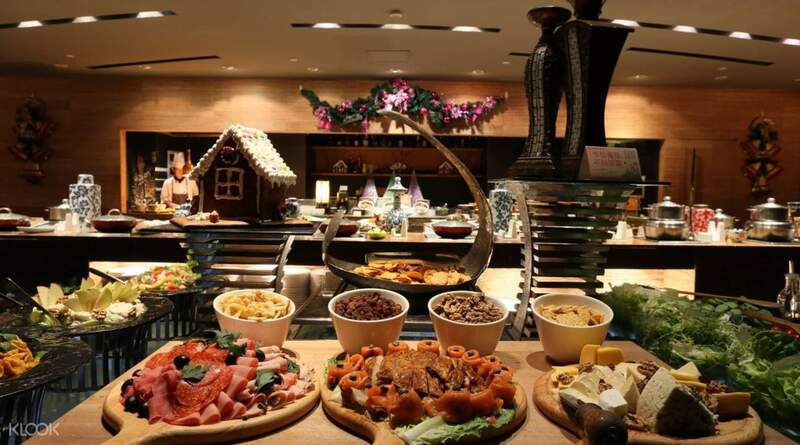 Enjoy a rich sumptuous buffet of Chinese and western delicacies and a panoramic view of Shanghai. Let your eyes rest on the calming scenery of the Huangpu River and Shanghai's beautiful architecture. 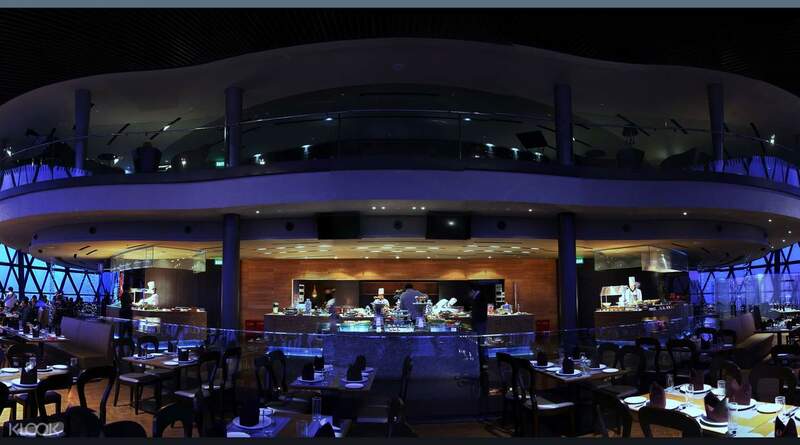 The restaurant makes a full circle every two hours, inviting you on a tour of the city and its cuisine. 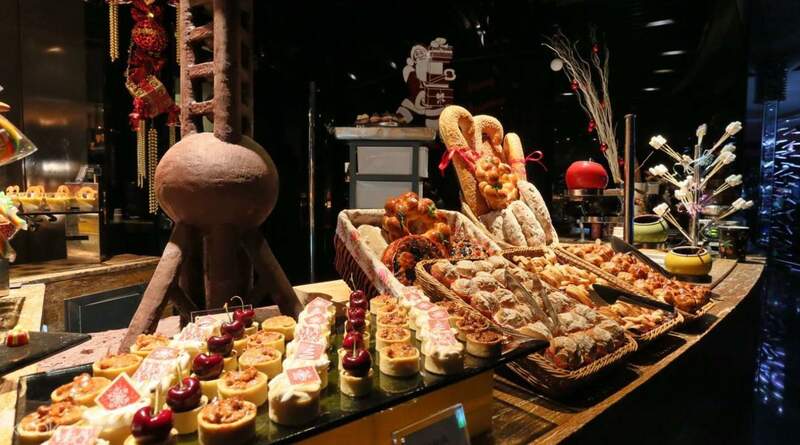 A great night out for the whole family or a group of friends, Dinner at the Oriental Pearl Tower is a truly memorable way to discover Shanghai! We had a great time! The guide + driver picked us up on time at our hotel. He talked about the city and gave us a lot of valuable information. The view was beautiful as well and he gave us as much time as we wanted to take pictures etc. Amazing service! We had a great time! The guide + driver picked us up on time at our hotel. He talked about the city and gave us a lot of valuable information. The view was beautiful as well and he gave us as much time as we wanted to take pictures etc. Amazing service! We had a wonderful time despite the throngs of people in line at the oriental Plaza. We bypassed the line and of course enjoyed the view and The the buffet was well. A well deserved must if you want something special in Shanghai. We had a wonderful time despite the throngs of people in line at the oriental Plaza. We bypassed the line and of course enjoyed the view and The the buffet was well. A well deserved must if you want something special in Shanghai. the guide provided a lot of information about shanghai and the hotel transfer made everything easier since our hotel was a bit far. the buffet was awesome. we went for my grandparent's anniversary and we all really enjoyed it. the guide provided a lot of information about shanghai and the hotel transfer made everything easier since our hotel was a bit far. the buffet was awesome. we went for my grandparent's anniversary and we all really enjoyed it. Food is great. Wide array of food choices. Most importantly the scene is majestic. Overlooking the flashing lights of Shanghai. Food is great. Wide array of food choices. Most importantly the scene is majestic. Overlooking the flashing lights of Shanghai.